Scriptel Corporation is joining the Nat’l. 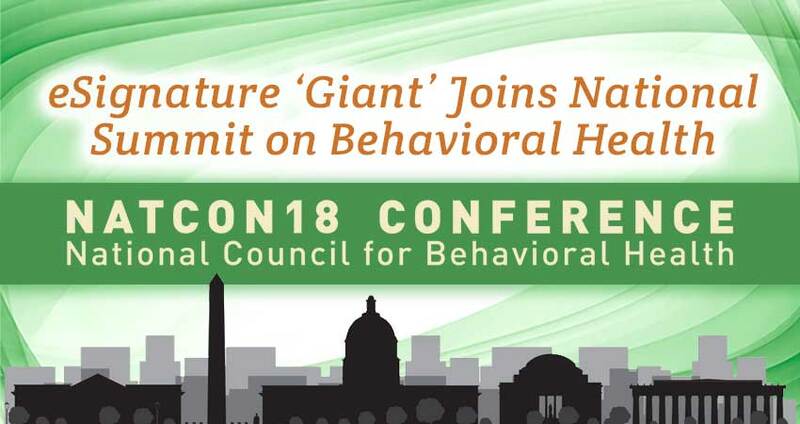 Council for Behavioral Health for its 2018 summit April 23-25, 2018, just outside of D.C. Scriptel supports a goal of helping those who work in Behavioral Health “Be Heard,” as they voice the collective concerns of the millions of Americans currently living with mental illness and/or struggling with addiction. NatCon has been recognized as a premier conference on Behavioral Health and is a platform designed to “energize, inspire, and accelerate” information sharing among key players in the clinical care, practice management, and health IT products sectors. Scriptel’s no-scratch, glass surface signature capture pads include the ScripTouch Slimline and Desktop LCDs, as well as ScripTouch Compact LCD electronic signature pads. Companion products like ScripTouch Sign and Save handwriting recognition software and the new mSign v2.0 digitizing app expand those hardware capabilities. Roughly 5,000 attendees are expected at NatCon18; industry leaders looking to thrive, by putting health care innovations to the test and improving their practices’ bottom lines. The NCBH encourages “Be Heard” attendees and exhibitors to be active, counted, supported, and informed innovators of whole-person wellness. Sedaker and Gallagher will be there, sharing Scriptel’s perspectives on the future of patient care, digital workflow, Health Information Management (HIM), and more. NatCon18 runs Mon., April 23, through Wed., April 25, at Gaylord Nat’l. Resort & Convention Center at 2017 Waterfront St., in National Harbor, MD (20745). Details and registration are available at NatCon18.TheNationalCouncil.org. Get a hint of what Scriptel has to offer. Begin with a Free Trial at Scriptel.com. Or call the company’s Sales Team, at (877) 848-6824, for more information.